As per USA Today ,A sharply divided Congress isn't likely to jump at President Barack Obama's challenge for quick passage of a mortgage refinancing bill that supporters say could help millions of homeowners save big each year and boost the economy. Obama praised the legislation in his State of the Union speech last week, saying the proposal would help more homeowners with mortgages backed by Fannie Mae and Freddie Mac take advantage of low interest rates and refinance their loans. Even with mortgage rates near a 50-year low, Obama said, too many families that have never missed a payment and want to refinance are being turned down. "That's holding our entire economy back, and we need to fix it," the president said. "Right now, there's a bill in this Congress that would give every responsible homeowner in America the chance to save $3,000 a year by refinancing at today's rates. Democrats and Republicans have supported it before." The economy's slow recovery from the recession gives the idea urgency, Obama said. "Send me that bill," he told members of Congress listening to his speech in the House chamber. The proposal is part of a push by Democrats and the White House to help homeowners take advantage of low interest rates as a way to help the housing market recover and to give the economy a shot in the arm. While the bill could gain traction in the Democratic-controlled Senate, it faces a rough road in the GOP-run House, where many Republicans favor scaling back the government's role in the housing market as a way of aiding the economy. Similar versions of the measure died in the House and Senate's lame duck sessions last year. "At the moment, it's an uphill battle," said Rep. Peter Welch, D-Vt., who plans to file the House version of the bill. Welch said he will reach out to Republicans this year in hopes of building more support, but the bill's association with the government-controlled Fannie Mae and Freddie Mac, the federal housing agencies partly blamed for the collapse of the housing market, hurts its support base among GOP lawmakers. 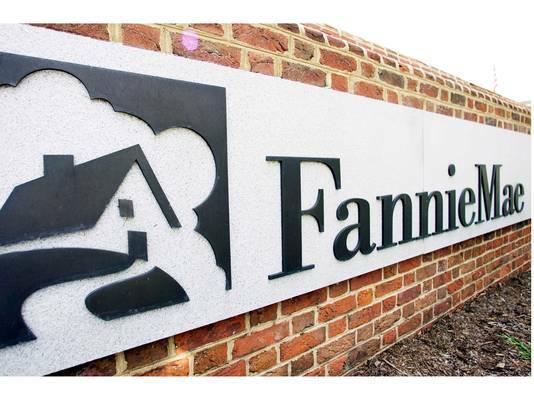 "The American taxpayers have already sunk $190 billion dollars into the operations of Fannie and Freddie," said Rep. Randy Neugebauer, R-Tex., a member of the House Financial Services Committee. "It's time that we wind their operations down instead of using them as a piggy bank for failed programs that further delay the housing recovery. "In the Senate, Democrats Bob Menendez of New Jersey and Barbara Boxer of California have legislation to aid borrowers who are current on their loans backed by Fannie Mae and Freddie Mac, but who are not able to refinance because their home values have declined too much. Nearly 12 million homeowners have Fannie Mae and Freddie Mac loans and stand to benefit refinancing, the two senators said. Many can't refinance at a lower rate because of red tape and high fees. The red tape has reduced competition among banks, so borrowers pay higher interest rates than they would if they were able to shop around more, according to the senators. The bill also would reduce up-front fees that borrowers pay on refinances and eliminate appraisal costs for all borrowers. The measure seeks to expand the Obama administration's Home Affordable Refinancing Program, which saves an average homeowner about $2,500 per year, they said. "Homeowners will have more money in their pockets, Fannie and Freddie will see fewer foreclosures, and the housing market and economy will continue building momentum," Boxer said. Among the bill's supporters are the Mortgage Bankers Association, the National Association of Realtors and the National Association of Home Builders. "It is another tool that can be out there to help stabilize the housing market and kick start the economy if consumers can, in fact, put another $100 bucks in their pockets every month," said John Hudson, government affairs chairman of the Association of Mortgage Professionals. Similar proposals by Boxer and Menendez last year got bogged down in the Senate Banking, Housing and Urban Affairs Committee. Republican attempts to add amendments on other housing issues beyond refinancing led to a stalemate. Twenty Senate Democrats are co-sponsors of this year's bill, but no Republicans have signed on. "I support finding ways to smartly streamline the refinance process, but I'm not sure that eliminating all documentation requirements makes sense," said GOP Sen. Bob Corker of Tennessee, a committee member. "I also think we need to quickly move beyond short-term stimulus and start focusing on the structural issues in our housing finance system."Sen. Mike Crapo, the committee's top Republican, declined through a spokeswoman to comment on the bill.Welch's House bill also died during the last Congress. Welch accused Republicans of not wanting to give Obama an election-year boost by passing the mortgage refinance measure. "Last year was even tougher because it was an election year," said Welch. "The Republican leadership wanted Obama to fail."